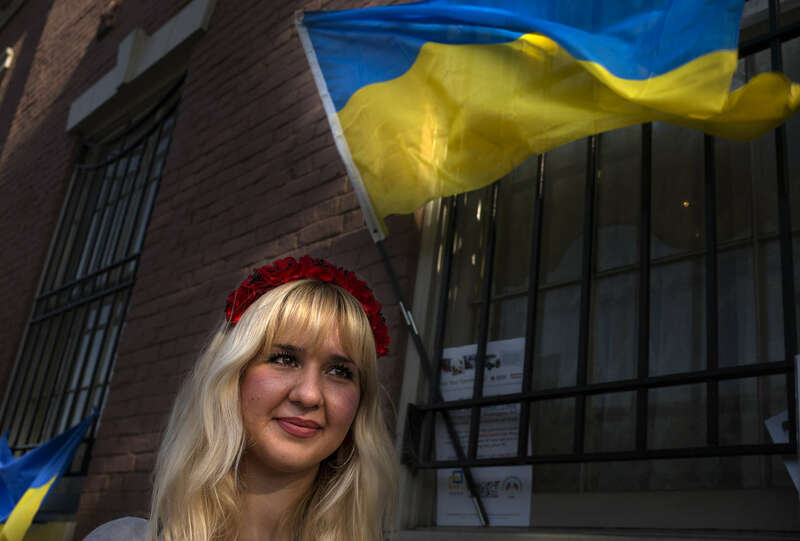 Anna Onoprienko, 26, of McLean, Virginia, with the group Razom, collects donations as local Ukrainians cast their vote for a new president at the Embassy of Ukraine in Washington, D.C., on Sunday, May 25, 2014. Washington, D.C., is one of four voting stations around the United States. New York City, Chicago and San Francisco are the other cities where Ukrainians voted for a new government.